Sydney Rescue can provide Standby Rescue services for a large variety of situations this can include confined spaces, heights work or if you have an event in which you require our rescue services please get in contact to find out more information. If you already have a rescue team onsite and require verification of competency or specific training for a certain job we can also come out to site, come up with the rescue plan and the instruct your team on the specific rescue requirements. 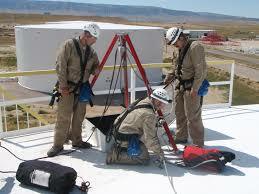 We also offer standby (sentry, observer, hole watcher) services for heights or confined space work. This is where you require a qualified person to run a permit, conduct gas testing, action an emergency rescue plan and keep your workers safe while conducting works. Are you an engineer/surveyor and just require someone to watch you while you do your work and then get off site. We do hourly rates or book us in for a full day and SAVE! Our RESCUE TECHNICIANS are all expert trained and verified through multiple government and private agencies including Australian Regular Army, State Emergency Service and Fire and Rescue NSW. Heights Rescue – This includes wind farms, telecommunication towers, cranes and low/high rise construction. Confined Space Rescue – This includes pits, trenches, vessels, sewers, drains, tanks and ship hulls. Standby Services– For any of the above works where you need a qualified person to run a permit and be on standby. This can be for heights or confined space. Site Safety Supervisor/Management-For any of the above works where you need a qualified person to supervise and observe single or multiple tasks on-site. This can be for heights or confined space. Construction Rescue. Private Rescue. Commercial Rescue. Confined Space Rescue. Stand-by Rescue. Vertical Rescue. Rescue Services. Stand-by Services. Note: This is for one Standby/RESCUE TECHNICIAN onsite. Hourly day rate: $125 plus GST per hour (minimum 4 hours) additional hours at $125p/h. This does include all standard standby/rescue equipment depending on whether its for heights rescue or confined space rescue (see below). However, if the job requires specialist equipment this will be added to the quote. If the job requires extra technicians this will also be as per quote. 2 x Confined space/Heights harnesses. MSA Altair 4x gas monitor with man down alarm, set up for detecting Oxygen O2, Carbon Monoxide CO, Hydrogen Sulphide H2S and Lower Explosive Limits LEL. 200m of rope and associated equipment such as carabiners, pulleys, rope grabs, capture devices and rescue haul system.